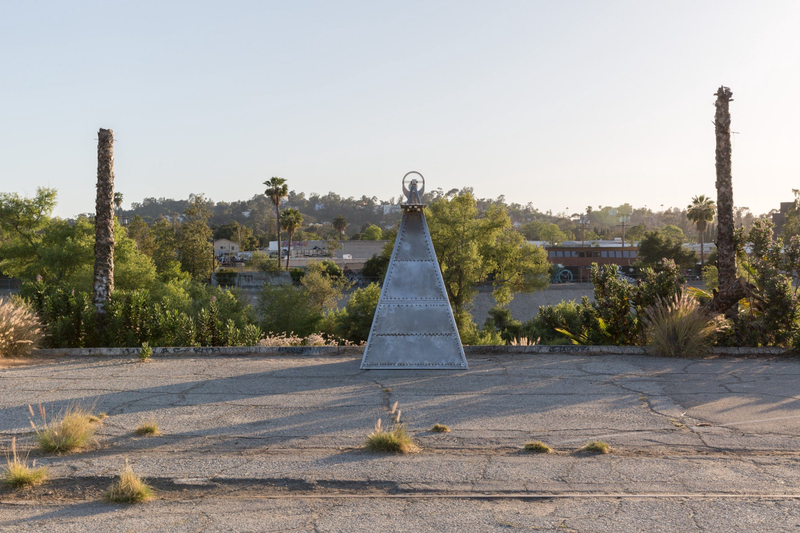 Artists Tae Hwang and MR Barnadas have worked with participants in both Tijuana and San Diego to form an arts collective known as Collective Magpie. 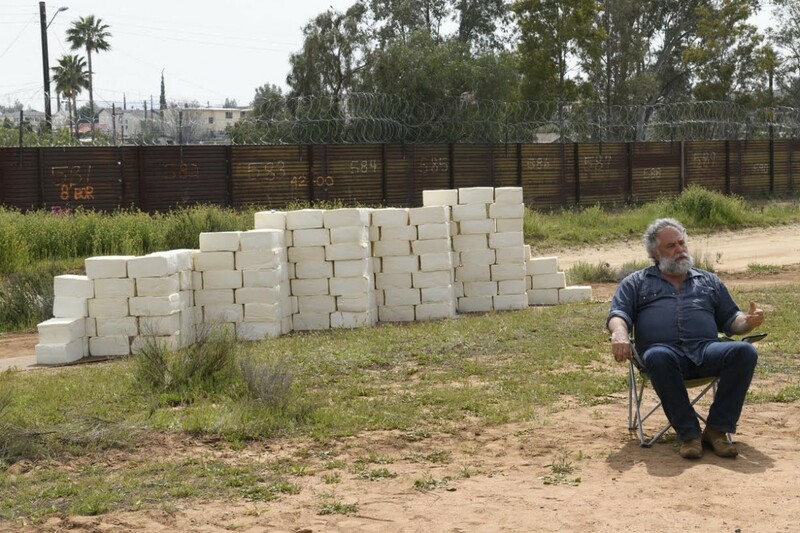 In a Close(d) Relationship (2017–8) features collaborative work that Hwang and Barnanadas organized and facilitated through seminars titled “Transnational Seminars I & II.” These were “experimental classes” conducted with local college students from both sides of the border. In Transnational Seminar II, for example, students from University of California, San Diego, and Universidad Autónoma de Baja California, Tijuana, came together to produce public street theater in both cities. They formed a parade, wearing handmade costumes dressed as President Trump’s border wall prototypes — serving layered and multiple functions. First these performances brought humor and dialogue to a fraught subject. Second, in wearing the border prototypes on their physical bodies, students’ performative act physically provided an important reminder of the corporeal reality that underlies the topic of the border — human lives. 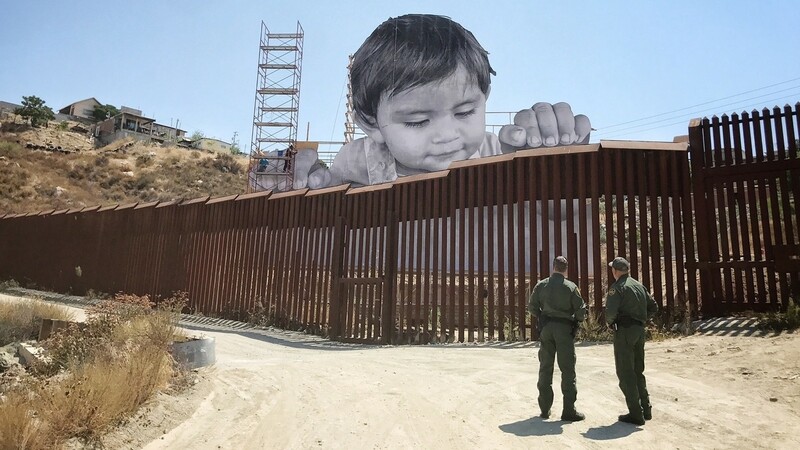 In Borrando La Frontera, or Erasing the Border, Ana Teresa Fernández began painting the border to match the sky behind, consequently appearing to “erase” the border. 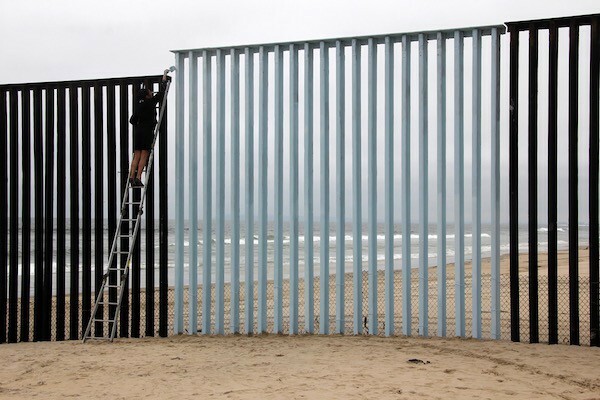 Of her work and motivation, Jill Holslin writes, “Ana Teresa Fernández’s own journey — crossing the Tijuana-San Diego border to study and build her career — mirrors the route north taken by millions of women who have come from southern and central Mexico to work in the maquiladoras and make a better life for themselves and their families.” In this way, Fernández speaks to the communities and families to whom the border stands as a liminal and Janus-faced being. 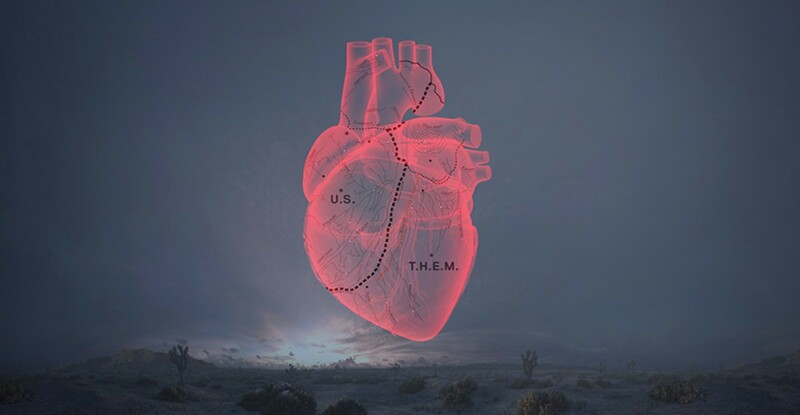 Her work highlights the complexity of the border — it simultaneously offers opportunities to those who can make it across, while also standing as an authoritarian barrier to entry to many others, a symbol of hard-lined immigration policies that aim to prevent people from migrating to the United States. Fernández’s work is currently on view in JoAnne Northrup and Ed Ruscha’s sweeping exhibit UnSettled: Art on the New Frontier at the Palm Springs Art Museum. Through art, all of the artists discussed are using their work to force and ask viewers to physically “see” the border, and the United States’ relationship to it, differently — whether through border performances, humorous interventions, sobering memorials, and reminders of the human lives affected by the wall, artists challenge the public to consider the social relevance of immigration and migration in entirely different and more humane ways. Riot Material In Bed: Go to Riot Material (riotmaterial.com) under “Follow Us,” enter your email and click ‘SUBSCRIBE’ to receive a weekly recap of reviews, interviews, the latest in song, cinema, the state of art and other cerebral musings. Each Sunday from Riot Material.